I could deny it. But I won't. Some people love their birthday. Some people hate it. I'm kind of...wishy-washy. Please tell me that I'm not the only one that feels that way! However, I do have to thank my amazing friends Andrea and Jane! They both surprised me with presents, and I adore them for it. There's nothing like getting a package in the mail to make your day! Especially when your crabby mailman has to get out of his little truck and walk it up to your front porch. Heeheehee! Happy birthday friend! love you to death! Happy Birthday!! Hope you had a great day. I never get too excited about my birthday, but a little celebrating is fun! Happy Birthday! I have seen the OPI collection and almost picked up some colors from that collection! I hope your birthday was wonderful. 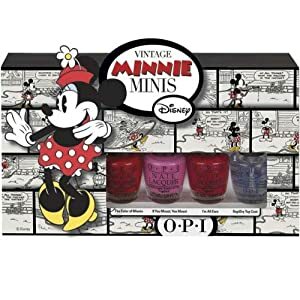 So glad it was awesome - love the Minnie mani gear! Happy Belated Birthday! I am a horrible blogger friend. I was out of town and I'm just now catching up. 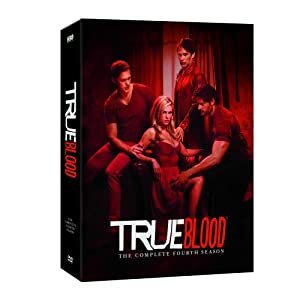 True Blood...awesome gift!